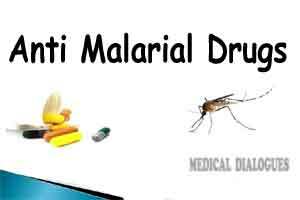 Washington D.C : In a breakthrough, a team of researchers has found that malaria parasites with a developed resistance to certain drugs cannot spread their resistance on. The discovery could potentially shut down the avenue for mass drug resistance to spread, making malaria treatment significantly more effective for the 3.2 billion people at risk. The international research project was led by the University of Melbourne and focused on the drug atovaquone. The new study reveals that although some malaria parasites had developed a genetic mutation that protected them against the drug in early life, the mutation eventually killed the parasites by stopping production of an essential type of energy as they grew. Lead authors Professor Geoff McFadden and Dr Dean Goodman are calling it a ‘genetic trap’ that could prove to be a significant step forward in the anti-malaria fight. The pair, along with long-term collaborator Vanessa Mollard, led a team investigating the evolution and life cycle of the malaria parasite for the past six years. McFadden noted that the development of drug resistance may not be a major problem if the resistance cannot spread, meaning the drug atovaquone could be more widely used in malaria control.